This year’s KOSMIMA, where Greek creations will hold a special place, will feature glamorous items and all the latest international trends of the jewellery sector. From 20 to 22 October, the 33rd International Exhibition for Jewellery, Clocks and Watches, Precious Stones, Machinery and Equipment will serve as a meeting point for the jewellery industry in view of the winter season, with important Greek and international participants. 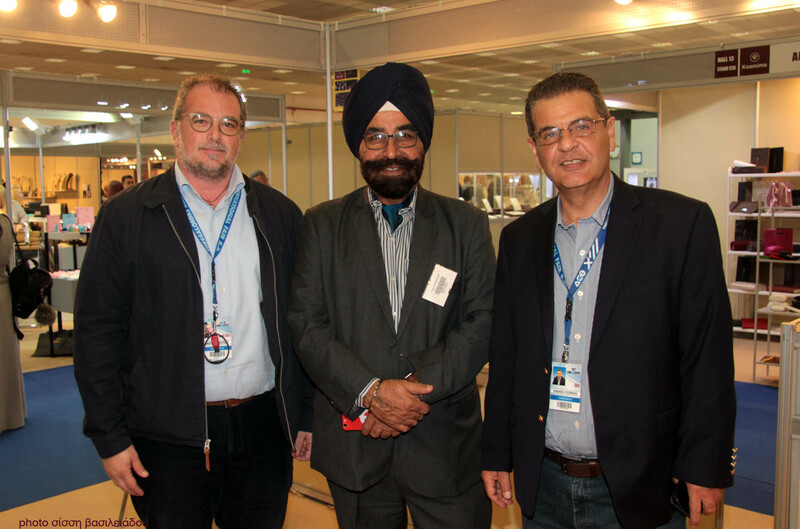 More specifically, 95 direct and indirect exhibitors will be participating in this year’s KOSMIMA, to be held in Pavilion 13 of Thessaloniki International Exhibition Centre, with direct participants from Germany, India and Turkey. 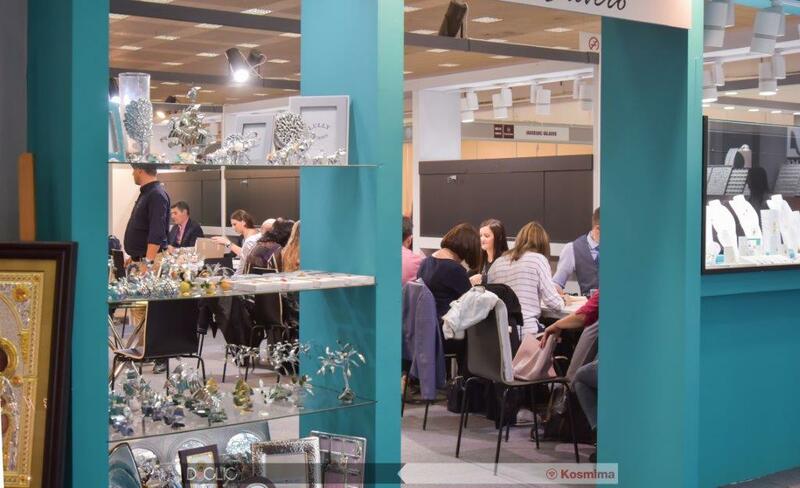 Manufacturers, workshops, designers, importers, representatives & wholesalers of jewellery, clocks and watches & precious stones, as well as companies selling silverware, packaging materials and machinery, will be participating in the 33rd KOSMIMA. In view of KOSMIMA, the Pan-Hellenic Federation of Craft Silversmiths, Jewellers & Watch Sellers (POVAKO) and TIF-Helexpo jointly held the 29th Pan-Hellenic Jewellery Design Competition, which aims at the growth and promotion of Greek jewellery. The theme of this year’s competition was “kinetic art in jewellery”, with contestants being called upon to be inspired by movement for the creations. A total of 25 students and professionals participated in this year’s competition with 27 creations. The winners will receive their awards during KOSMIMA and visitors to the Exhibition will have the opportunity to see the award-winning works at the Exhibition. 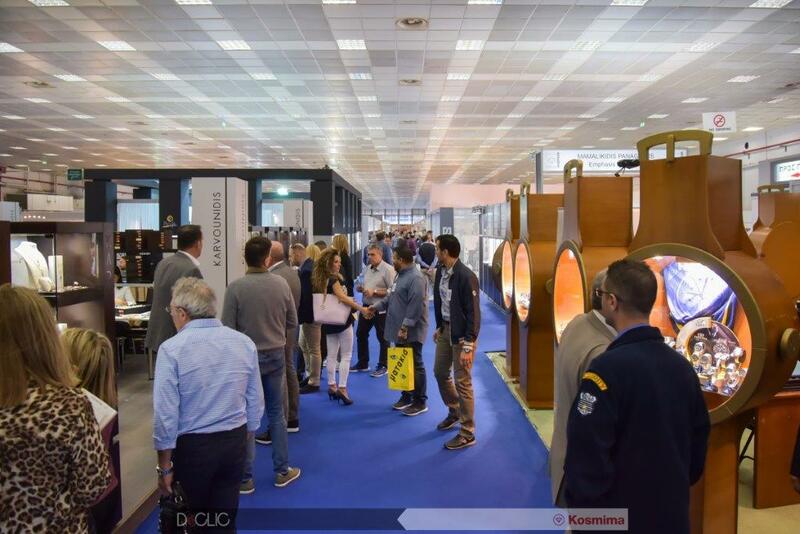 The 31st KOSMIMA, a resplendent event, ended yesterday at Thessaloniki International Exhibition Centre, with a 12% increase in the number of visitors, as compared to previous event, and trade visitors from 14 countries. Trade visitors from Albania, Bulgaria, Cyprus, Egypt, FYROM, Germany, Kazakhstan, Lebanon, Romania, Russia, Sweden, Turkey, Ukraine and the USA visited the annual meeting of the sector of jewellery and clocks & watches, held every autumn. This year's exhibition was expansive both in terms of exhibitors (80 participating enterprises) and area covered (3,700 sq.m. ), compared to last year's event. During the exhibition, the awards of the 27th Jewellery Design Competition were presented. The theme of this year's competition required creators to draw inspiration from the 1913 poem 'For the Shop' by Constantine Cavafy. In the 1st category, for gold and silver-smithing school students, 1st Prize was awarded to Anna Latoussaki (Municipality of Nea Smyrni - Gold and Silversmithing & Metal-working Department), 2nd Prize to Haralambia Hitou (IEK of Stemnitsa), and 3rd Prize to Minas Markakis (Mokume Private IEK). Maria-Christina Arvaniti (Municipality of Nea Smyrni - Gold and Silversmithing & Metal-working Department). In the 2nd category, for professional jewellery designers and manufacturers, an award was presented to Elpida Kamitsi. 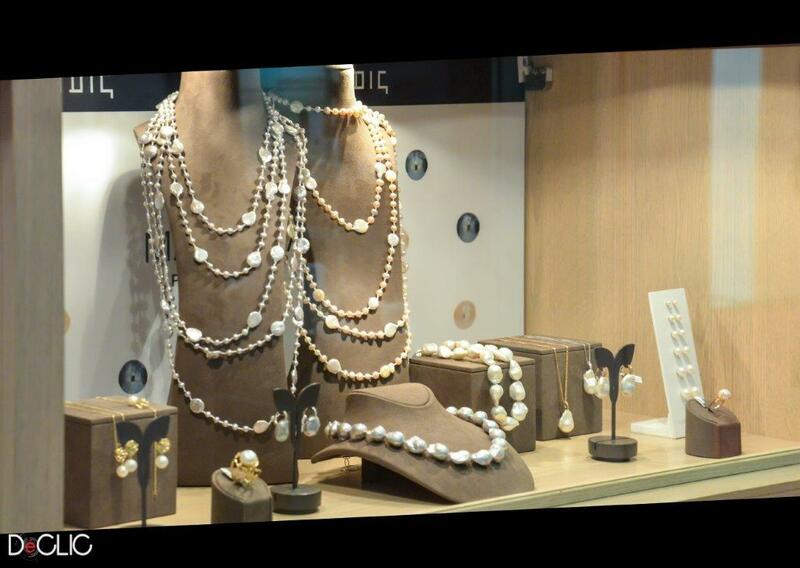 The competition was organised by the Hellenic Jewellery Federation (POVACO), in cooperation with TIF-Helexpo. 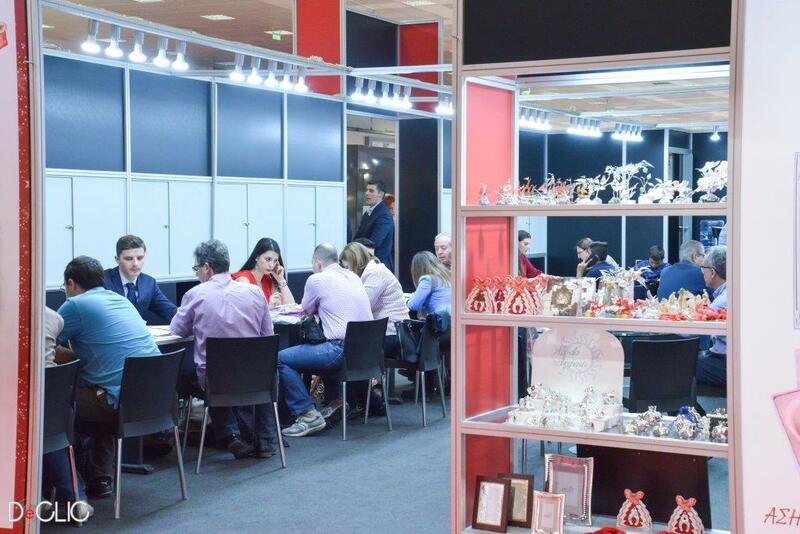 The next meeting of the jewellery sector will be the 'Hellenic Jewellery Fair', to be held from 3 to 6 March 2017 at the Metropolitan Expo exhibition centre in Attica. The 30th KOSMIMA also featured the 26th Pan-Hellenic Jewellery Design Competition, with the theme of 'Coins in Greek History'. There were 14 participations with 20 works in the student category and 5 participations with an equal number of works in the professional category. First place was won by Aspassia Papazissi of the GALILEO EES (Liberal Arts College), second place was shared by Eleftheria Valaskatzi Polydorou and Christina Kastanio Alonso of the Cultural Association of the Municipality of Nea Smyrni, while third place was won by Konstantinos Vasdokas of the MOKUME IIEK (Private Vocational Training Foundation). The precious world of the KOSMIMA exhibition is preparing to open its gates from 31 October to 2 November 2015 at Thessaloniki International Exhibition Centre. 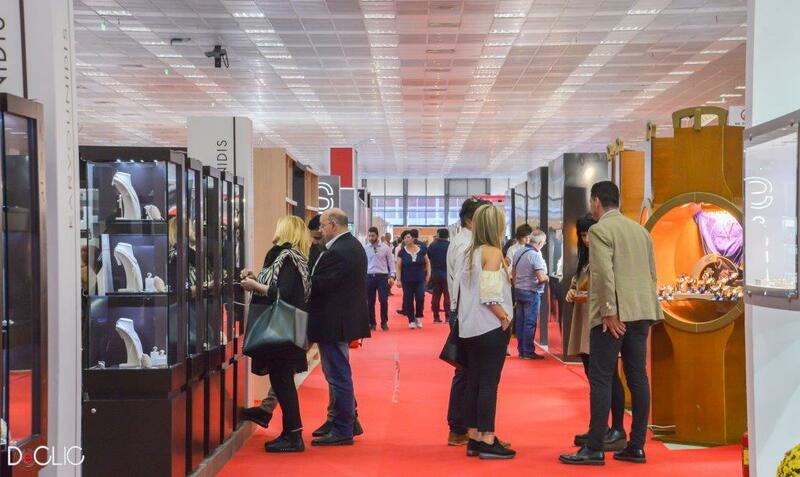 The 30th annual exhibition of the jewellery and clock-watch sector, organised by TIF-Helexpo, is a meeting point for professionals who wish to receive information and renew their collections for the Christmas season. Over 70 of the best-known companies of the sector are participating in the exhibition, which will be visited by hosted buyers from Lebanon, Cyprus, Russia, FYROM, Egypt and the Netherlands. KOSMIMA 2015 is also hosting the 26th Jewellery Design Competition, an institution that aims at highlighting the creativity of young artists of the sector and, by extension, at contributing to the growth of Greek jewellery. The competition is being organised by the Pan-Hellenic Federation of Silver- and Goldsmiths, Jewellers and Watchmakers (POVAKO), in cooperation with TIF-Helexpo. The theme of this year's competition is inspired by coins, as they appear throughout the long history of Greece. Students of silver- and goldsmithing schools, design school students, professional designers, creators, design teams or companies, etc. that are involved in jewellery design in an amateur or professional capacity have the right to participate in the competition. It should be noted that KOSMIMA is being held under the auspices of POVAKO. The creativity of young individuals and the experience of professionals were rewarded last night by TIF-Helexpo during the presentation of the prizes of the 24th Pan-Hellenic Jewellery Design Contest on 'Seascapes', organised within the framework of the 28th KOSMIMA exhibition. The great number of contestants was underlined by the CEO of TIF-Helexpo, Mr Kyriakos Pozrikidis, thanking the young participants for their presence and the agencies of the silver- and goldsmith sector and the Chambers for their support, expressing the view that in the coming years, KOSMIMA will become even stronger. On his side, the President of the Pan-Hellenic Federation of Silver- and Goldsmiths, Jewellers and Watchmakers (POVAKO), Mr. Christos Gouryiotis, stressed that during a difficult period, the participation of young individuals in the contest sends an encouraging message for the sector, and underlined the tradition and enthusiasm of Greek craftsmen. In turn, the President of the Guild of Goldsmiths – Silversmiths of Thessaloniki, Ms Eleni Tezapsidou, noted that the sector is alive and that both education and the profession must be supported by the state, while the President of the Association of Jewellers-Clock & Watchmakers of Thessaloniki, Mr Petros Kalpakidis, expressed the wish that this time next year we will be speaking of the achievements of this contest and the professional growth of the contestants who stood out. In the student category, the 1st Prize (700 Euros) was awarded to Eleftheria Valaskatzi of the Cultural Organisation of the Municipality of Nea Smyrni, the 2nd Prize (500 Euros) to Vassiliki Sountou of MOKUME IIEK (Private Vocational Training Institute), and the 3rd Prize (300 Euros) to Katerina Poimenidou of the 1st Silver- and Goldsmithing Vocational School of Stemnitsa. In the professional category, the prize was awarded to Vassilis Panayiotidis, a stone-setter, jewellery designer and engraver. Awards were presented to students Elena Eryshova of the IEK (Vocational Training Institute) of the municipality of Volos (1st Award), Chryssovalantis Papadopoulos of the IEK (Vocational Training Institute) of the municipality of Volos (2nd Award), Sofia Kondyli of the 1st Silver- and Goldsmithing Vocational School of Stemnitsa (3rd Award), Anna Dinopoulou of GALILEO EES (Laboratory of Liberal Studies) (4th Award) and Christina Stamou, also of GALILEO EES (Laboratory of Liberal Studies) (5th Award).